is a professor in the Department of Management and Director of the Research Program in Social and Organizational Learning in the School of Business at The George Washington University. He received degrees in engineering, political science, and communications from the University of Illinois in Urbana-Champaign. From 1975 to the present he has been a professor at The George Washington University. From 1994 to 1997 he was the faculty facilitator of the Quality and Innovation Initiative in the GW School of Business and Public Management. 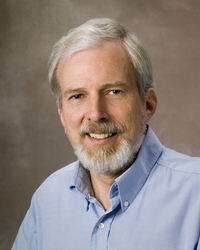 From 1997 to 2000 he worked on the Year 2000 Computer Crisis, viewing it as an opportunity to test social science theories using a before and after research design. He teaches courses in the philosophy of science, cross-cultural management, organizational behavior, cybernetics, and systems science. Other interests include process improvement methods, group facilitation methods, and the use of computer networks. What fascinates you about your field of research? I really like the field of cybernetics. It provides a general theory of management, a theory of adaptive behavior, of purposeful behavior, and of an information society. It encompasses engineering, biology, cognition, philosophy, design and social change. I think of cybernetics as a general theory of control and communication underlying the social sciences in somewhat the same way that physics is a general theory of matter and energy underlying the engineering disciplines. Where do you see or would like to see the field heading? I think cybernetics has fragmented into special fields, rather like the traditional academic disciplines. The wonderful thing about cybernetics is that it provides a common language that greatly facilitates communication among people from quite different disciplines. I would like to see more attention to the general principles. I think the internet, big data, cyber security and semantic computer searches are greatly expanding the possibilities for making cybernetics relevant to current issues. Is there an author / thinker, whose work inspires you in your own work? What fascinates you about “Country development in a time of globalization”? In your own words: Why should people go there? The world is presently passing through a period of dramatic change in social systems. People in many countries are demanding increased participation in governance and more rule of law. Social media such as twitter, facebook and access to information via the internet are aiding these efforts. One could say that a “cybernetic society” is taking shape before our eyes.